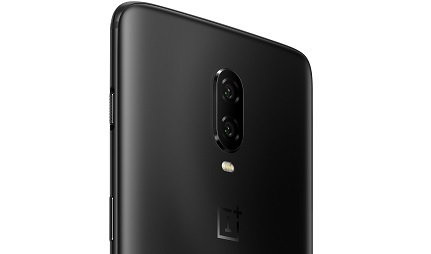 Both premium and affordable, the OnePlus 6T boasts an eye-catching 6.4 inch HD display, a dual camera which combines 16MP and 20MP lenses, and both fingerprint and iris-scanning security. Amazing phone. Lovely screen. No lag. Great call clarity. Nice uncluttered &amp; quick variant of Android. looks great. Ticks all my boxrs and then some. Got it on BF on contract with an amazing deal. £679 total cost over 2 years What's This? £703 total cost over 2 years What's This? £722 total cost over 2 years What's This? £723 total cost over 2 years What's This? £762 total cost over 2 years What's This? 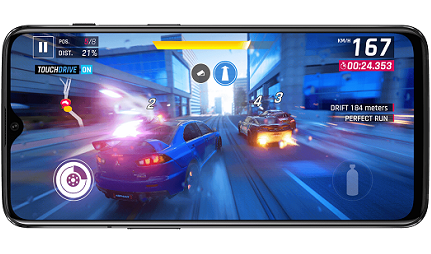 This phablet-sized device boasts a 6.41-inch Optic AMOLED display that sits across the entire front of the device, meaning you can enjoy an edge-to-edge viewing experience that's perfect for on-the-go streaming or gaming. With an impressive 86% screen-to-body ratio, you'll enjoy big-screen entertainment on a compact, streamlined smartphone. There's an innovative fingerprint scanner packed inside the OnePlus 6T 6GB's screen. Just touch the display to securely unlock the device. Stunning photos are guaranteed at any time of day, with the OnePlus 6T. The dual-lens 20MP + 16MP rear camera comes fully loaded with features, such as optical image stabilisation and intelligent scene recognition, to deliver professional-looking results. If you switch to video, you can film in either 4K at 60fps or 480fps if you fancy experimenting with super slow-mo. The front-facing camera boasts a 16MP lens for stunning selfies, or group shots that fit in all your friends. Expect nothing less than an impressive performance from the OnePlus 6T. Alongside 6GB RAM, you'll find an advanced octa-core processor, a state-of-the-art Qualcomm Snapdragon 845 chipset and Android 9 on board, all of which work together to deliver the best possible user experience. There's no need to worry about running out of charge either. The 3,700 mAh battery will keep you powered up all day long, and when the time comes, the 6T's fast charge feature means you can reach 100% again in a mere 30 minutes. Want to learn more about OnePlus, one of the newer smartphone manufacturers on the scene? We bring you up to speed, at Mobiles.co.uk. Explore all the amazing features that the amazing OnePlus 6T has to offer, right here at Mobiles.co.uk. Love love love my new phone, easy to order, cheapest offer around, I have been with o2 for as long as I can remember but they just couldn't beat my deal. Delivery was fabulous with tracking information so I knew exactly when it would be delivered. Easy to use plenty of great features of a very much more expensive phone. Nice surprise is that you get both a phone case and screen cover in the box too. Incredible battery life, lightening fast, great features, amazing camera. Amazing phone. Lovely screen. No lag. Great call clarity. Nice uncluttered &amp; quick variant of Android. looks great. Ticks all my boxrs and then some. Got it on BF on contract with an amazing deal. I have wanted a OnePlus phone for a while. Now I have one I'm not disappointed. Really really impressed. I went from Samsung s7 edge. The 6t slays it! Lovely screen, crazy fast. Really good camera. Insane battery life. Massive memory can't fault it. Hope it continues this way. Amazing camera. Super fast. Great phone design and amazing battery life. 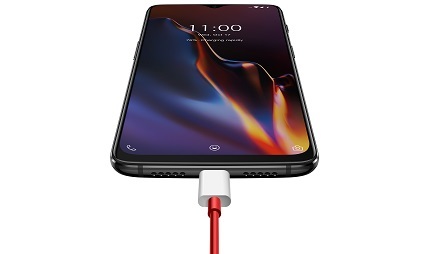 So glad I switched to OnePlus from iPhone.